It's finally time I released something after 8 years of interest in the ROM hacking scene and being involved with SMW and it's remake for almost my entire life. A hack that's not supposed to wow or amaze. Instead, it's my love letter to the games I never get tired of. My two favorite games of all time. The game that has learned me a lot. This hack won't be the last one I ever create as I had a lot of fun making it. Not to mention there's three more levels in the works! 5 levels, an overworld (major MAJOR credits go to Mirann for creating it), tiny Map16 edits and hopefully an enjoyable experience for every player. Well, this looks like a small little vanilla adventure I could try out. Why not, I'll try it. At some point always the time comes, where you get your first hacking experience. As you said it's not "amazing" or "breathtaking", but it definitely looks decent. And the fact that you had fun during the period of creation is definitely one of the most important factors. 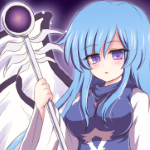 An who knows~ perhaps over time you'll improve more and more and slowly graduate into a hacking "legend". As long as you don't lose your passion and joy for it, nothing is impossible! It's far from my first hacking experience, however I appreciate the encouraging words! It also is the first hack where I have no set goal other than 'it's 8 levels' instead of going overboard, wanting to blow away everybody with 100+ levels. That made it far from a chore to make. I suppose you're partially right then come to think of it. If i wouldn't be dead 99% of the year except for events like C3 or Mosts on smwc, i would've remembered your name perhaps. My point / compliment above still stands though. As long as you feel fun during the process of creation and keep learning and being passionate for designing levels, learning new techniques to improve them etc. you'll gradually keep getting better and better over time. It's not a worry, I was called Latios for the majority of 2018. My hack has been playtested by a nice dude and that got me interested to tweak a little bit of the design in one stage in particular. That's something I might do eventually. 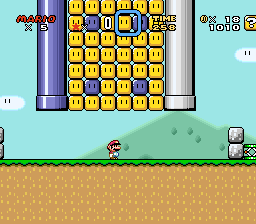 I just finished playing this hack with no savestates and yeah, it's well designed. » YOSHI'S PRACTICE: Pretty good first level. It has munchers on it which personally are rare for a first level, but they work surprisingly well. » MIRROR FLATLANDS: While I didn't notice it first, the gimmick for the level is creative, maybe not the best execution but still a good result. 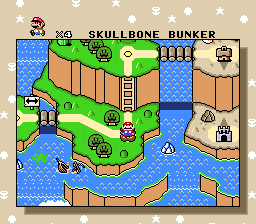 » SKULLBONE BUNKER: This is the level I felt as the most unfair. 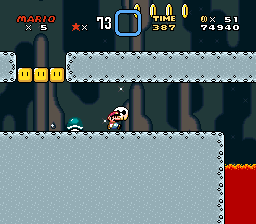 First, in the first part where you have to hit turn blocks to advance, if you go to the bottom right to see if there's something (there's nothing anyway), a skull can fall over you with no warning, leading to a cheap hit. Second, this part after the midpoint is downright evil and luck based. The footballs kicked by the Chuck can get you trapped and forced to take a hit. 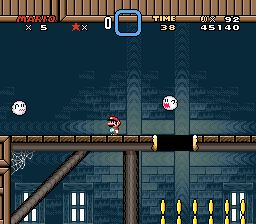 Basically if you don't have a Fire Mario/Luigi you have to pray for the footballs' RNG to make them jump high enough to hit the ceiling's wall to not enter the "corridor", then defeat the Chuck and continue. The Spike Tops don't help either. 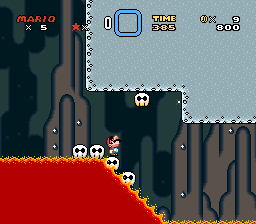 Also the skulls that stand at the lava slopes can hurt you. That's not very nice. Other than that, this level ranges from passable to decent. » COIN HEAVEN...? : This level looks decent. I liked when you putted the bill blaster over the platform's lines. Though, in this part I would place the lower jump first before the high one. 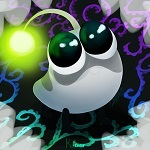 » SINGLE-MINUTE SPOOK: This level is decent, but the transparent palette of the Eeries can make them hard to notice. That being said, it's a nice running level. » BOWSER'S NEW CASTLE: Intimidating title for a level. That being said, it's a nice start up for your 8 years of ROM hacking. Keep up the good work. 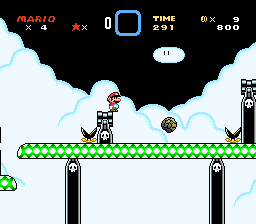 Basically if you don't have a Fire Mario/Luigi you have to pray for the footballs' RNG to make them jump high enough to hit the ceiling's wall to not enter the "corridor", then defeat the Chuck and continue. The Spike Tops don't help either. Anyway, I will surely take a look at those levels and try to give some feedback! EDIT: played through it just right now. Yoshi's Practise: an okay level. The palette for the Yoshi's House looks wrong to me, though, since it shares the same color for the leaves and for the house itself. Mirror flatlands: as the title implies, they feel pretty flat. 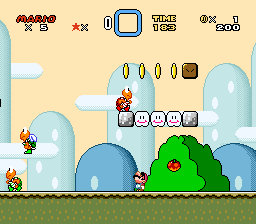 Maybe you could add some slopes here and there, or maybe add more sprites, I'm not sure. The gimmick was cool, but it would be nice if the level was longer and if there was some previous explanation of the gimmick. Skullbone Bunker: This is the level I enjoyed the most. The sprite set was nicely picked, the aestethics were okay and the 1-up location is pretty smart. My only complain is that rng-related problem , but you can solve it with the patch above. I felt the level had good flow and it felt good playing trough it. Surely you can still improve some things, such as some sprites placement, and the aestethics. Coin Heaven?... 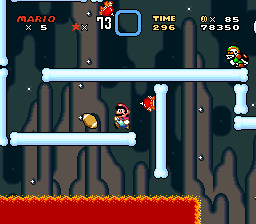 : The sawchains part (both) in this level are just too difficult in comparison with the rest. I would not force the player to spinjump over those chain. Also, that invisible coin block just felt really cheap. Last minute spook: Good level I guess. the gimmick was cool but I think it would be better if you facilitate the player to go running during all the level. There are parts such as the avalanche of Eeries where I needed to stop and wait. Overall, I think there are still lots of things to improve. I think you need to work in the atmosphere - as of now, I don't think your levels transmit much atmosphere. I think custom palettes for foreground and background will do a lot of good in helping about that, but there are also some things that I felt were purely wrong, such as munchers placed above clouds (It might be just me though). The aestethics could also be improved; have you though on adding some chocolate GFX to those foregrounds and backgrounds? It may help a lot to make your levels more recognisable and unique. On terms of the atmosphere problem Darolac pointed out, I might have to look into custom palettes, I agree. However this hack was meant to be a solely LM-made hack with next to no outside influences, so graphics changes simply aren't on the cards if I won't remake this. It's fine, this game is well done for a traditional styled Mario game. I really appreciate that comment. However I take the criticism I get seriously so i'll tweak the afromentioned two levels. It's not a major shake up or anything, moreso ironing out the true errors. Annnd that's the update released. Hopefully both problematic levels are now less problematic. Sixty Second Spook was my favorite level, and the one which killed me the most times (I continued twice, and the previous levels killed me two times total). The hack is purely designed focus and it had its strengths. I feel more time and attention could flesh them out, if that is what you're looking to do. I had only two small issues. The first was in Mirror Flatlands, the invisible coin block near the end, that you need to find to progress, I found only by getting myself killed on the muncher. 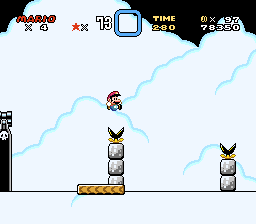 The other was in Sixty Second Spook, a level which is apt to be retried several times, has a Boo directly above your starting position, so if you are mashing the B button to pass the message box, you can inadvertently kill yourself. Otherwise the hack is quite solid. Looking forward to more! Both of these small issues are fairly intentional. The Boo in Single-minute Spook was supposed to be there. The message box tells you if you are absolutely sure if you wanna go fast, because there might be a suprise coming... And that's that suprise. You can see the Boo if you look carefully. The other issue was a quirk of Mirror Flatlands, the brown blocks have become invisible in the second half and vice versa. That said, thanks for your feedback! I assumed the surprise in Single-Minute Spook (btw the message block says "suprise") was something you'd get by completing the level really quickly, but it wasn't there yet because it's a demo. It's a really quick playthrough. It's not super groundbreaking or anything but that's fine because you didn't intend it to be. The suprise was moreso that you'd run into things much easier than with taking your time to not get hit. That's probably confusing to a lot of you and I can see why. Haha thanks! You gotta hand it to Mirann for creating an overworld for me which fits the style of the hack perfectly. I didn't have too much trouble going through the original levels. I really liked how you used some of the obstacles in clever ways, like the "vertical and horizontal" moving turn block bridges and also the mirroring gimmick. It's just a nice little vanilla experience. I'm glad you appreciate this hack. Thanks.